NEW YORK — The former CEO of a payday lending company that had been under investigation by the Consumer Financial Protection Bureau has asked to be considered for the top job at the watchdog agency, The Associated Press has learned. Such a request would have been extraordinary in the years when the agency was run by an Obama appointee and often targeted payday lenders. Along with recent actions taken by the CFPB, it suggests a cozier relationship between industry and regulator since the Trump administration took over in November. 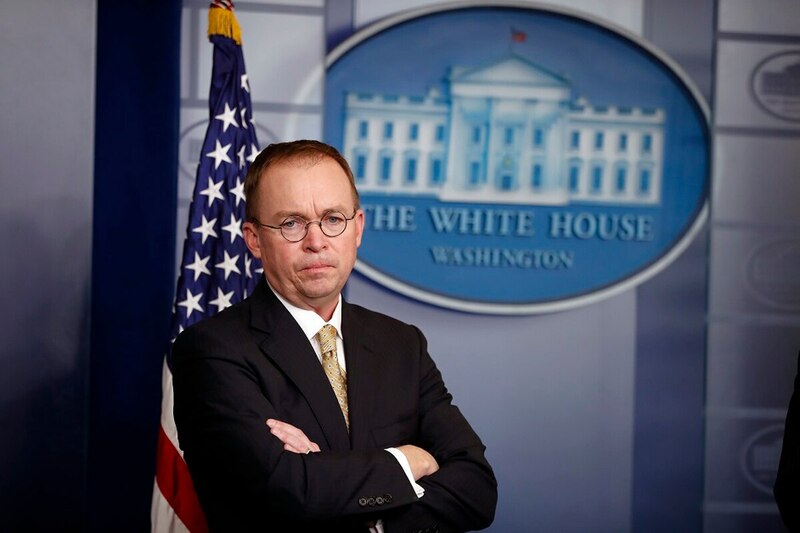 Under Mick Mulvaney, Trump’s budget director and acting director of the CFPB, the bureau has taken a decidedly friendlier approach to the financial industry including cutting down on enforcement and dropping investigations or lawsuits against payday lenders and other companies. It has also proposed to revise or rescind many rules put into place by Richard Cordray, the first permanent director of the agency, including some that would have put additional restrictions on payday lenders. Under Cordray, the CFPB opened in investigation into lending practices at World Acceptance. On Jan. 22, the company said the investigation had been completed without enforcement action. It also said CEO Janet Matricciani had resigned after 2 ½ years in that position. Two days later, Matricciani sent an email to what appears to be Mulvaney’s personal email address to pitch herself as a candidate to lead the CFPB. The email was shared exclusively with The Associated Press by Allied Progress, a left-leaning consumer advocacy group, which obtained the document as part of a Freedom of Information Act request. “I would love to apply for the position of director of the CFPB. Who better than me understand the need to treat consumers respectfully and honestly, and the equal need to offer credit to lower income consumers in order to help them manage their daily lives?,” Matricciani wrote to Mulvaney. She attached her resume to the email. She goes so far as to cite the CFPB’s investigation into her company as an experience that uniquely qualifies her for the job. “I have indepth (sic) experience of what a CFPB investigation is like, and so I am in an unparalleled position to understand the effect of various CFPB actions on a company, its workforce, its customers and the industry,” she says. World Acceptance, one of the nation’s biggest payday lenders, is based in South Carolina and gave Mulvaney thousands of dollars in campaign contributions while he represented the state in Congress. There is no evidence that Mulvaney acted upon Matricciani’s request other than forwarding the email to his official government email account. President Trump has not announced a nominee for a permanent director of the CFPB and a senior adviser for Mulvaney said in response to questions from The Associated Press that Matricciani is not being considered for any jobs at the CFPB. World Acceptance had been under investigation by the CFPB for three-years over its lending practices after ProPublica published an examination of the company’s lending tactics, finding evidence it repeatedly trapped its customers in debts they could not repay and charged them interest rates higher than what they disclosed when the customers took out the loan. The bureau has said the decision to drop its investigation into World Acceptance was made by career staff, and not by Mulvaney or any other political appointee. Allied Progress has called for an investigation into Mulvaney’s actions as CFPB head. Karl Frisch, executive director of the group, said in a statement that he believes Matricciani felt comfortable asking Mulvaney for his backing because of the earlier campaign contributions. Attempts to contact Matricciani through her former employer and through LinkedIn were unsuccessful. World Acceptance said it had no knowledge that Matricciani inquired about a position at the bureau after her departure. The CFPB has made other moves that have benefited payday lenders since Mulvaney has come into office. Late last year, the bureau put into place regulations that would have made it more difficult for payday lenders to make repeat loans to customers. The practice is particularly profitable, but largely criticized by consumer groups as a tactic that buries payday lending customers - mostly the poor - in debts for months or even years. While most of the key rules won’t go into effect until 2019, the CFPB under Mulvaney is reconsidering those rules and has delayed implementation. The bureau also dropped a lawsuit against another payday lender, Golden Valley.